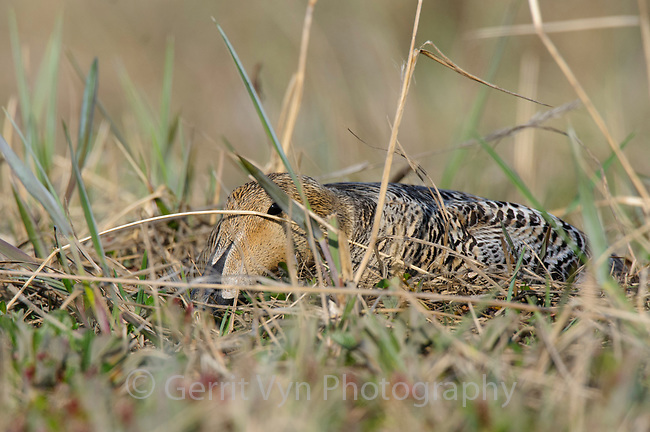 Female Common Eider (Somateria mollissima) of the subspecies S. m. v-nigrum in concealment on nest. Seward Peninsula, Alaska. June.